May 30th 2013 to me was comparable to eating durian in which one must battle to crack the hard & thorny husk, to reach the creamy custard core. Firstly, having been stuck for 2,5 hours in the ruthless traffic jam since 5.30 when I made my way from BSD to Thamrin in my manual transmission car was absolutely not ideal for a pre-dinner mood. That was the thorny part, but soon as I got to my table, and found out that I was seated with Turino Fuad, all that cussing and cursing alone in my car felt like a distant past. Turino Fuad is the representative of several California wineries in Hong Kong and other Asian markets like Jakarta. He made it just in time for the dinner, after having flown straight from USA, alas, he came in his comfy crocs. An interesting gentleman, to say the least about Turino. His first name is Italian, family name sounds Arabic, looks like a Japanese, but he's an Indonesian and his wife is from Surabaya and they live in the States. He may appear to be all over the places, but his passion for wine is focused. Napa Valley is a world-famous premium boutique wine growing region in the Napa County, California, in the West Coast of The United States. It was my first encounter with Napa Valley wine and after watching the video presentation about the utopian region, I made a promise to myself that Napa Valley will be on top of my enotourism destination list. 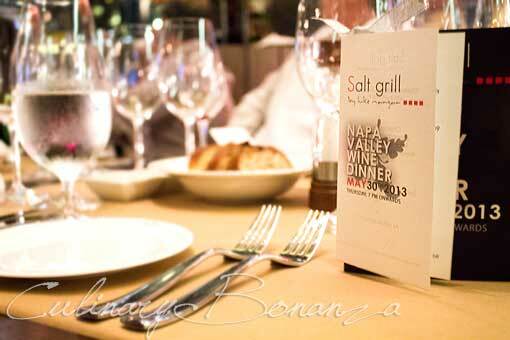 The Napa Valley Wine Dinner was hosted at Salt Grill by Luke Mangan located within ALTITUDE, Jakarta's latest top-notch dining grounds. The 4 course set menu, prepared by Salt grill Executive Chef, MJ Olguera, was paired with various premium wines from Napa Valley. While waiting for the first course, we teased our tummies with the licorice-raisin bread and dipped it into extra virgin olive oil and Luke Mangan's Dukkah, an appetizer and spice mix. 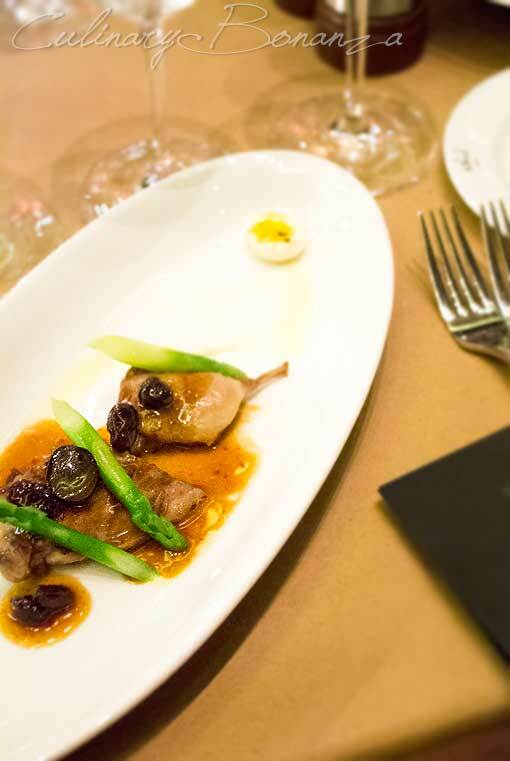 Char Grilled Quail, asparagus, grape and blackcurrant dressing. Tasting notes: Arguably the tastiest quail that I've had so far, tender and juicy sans the quail odor that's off-putting. 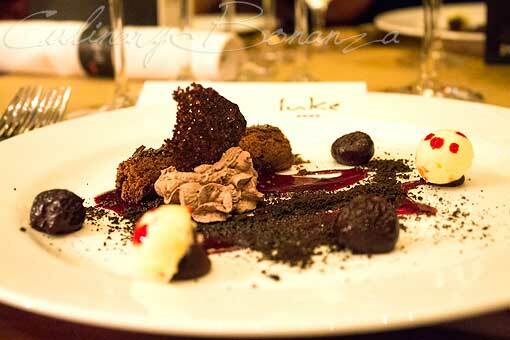 I truly enjoyed the starters, paired with the Twomey Merlot that accentuated the umami taste of the quail. 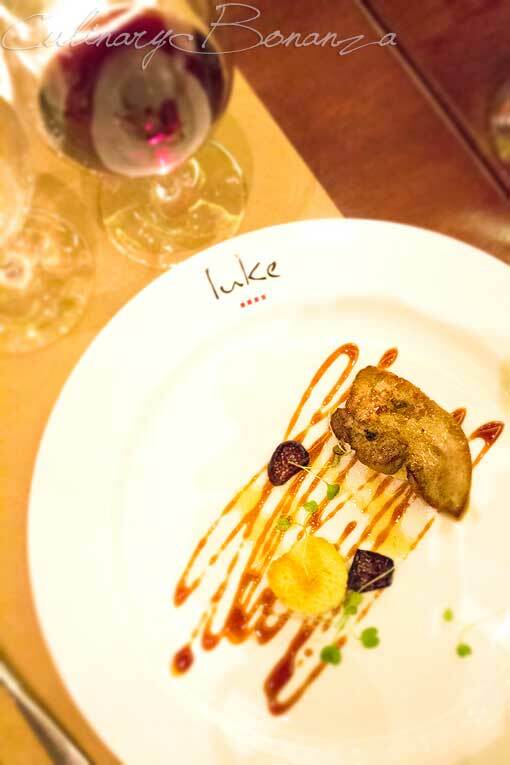 Tasting notes: The foie gras was delightfully delicate to the point of almost creamy! This dish is the perfect depiction of my personal favourite flavours combination: savoury and fruity sour-sweet. The Palazzo Cabernet was described as a very rare boutique wine by an avid wine enthusiast, Mr. Rudy Sujanto who was seated at the same table with us. Thanks to him, who highlighted to us the secondary bouquet developed by the wine, that's rich of coffee and dark chocolate scent. 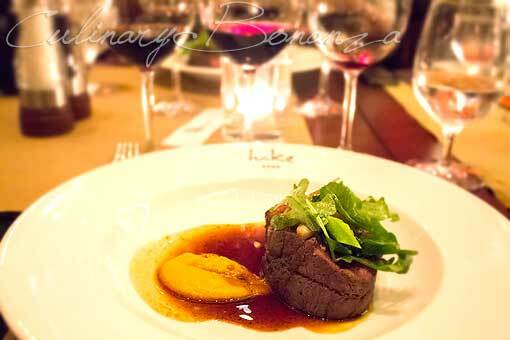 Seared & Poached Beef Tenderloin, spiced pumpkin puree, asparagus, date and pickled orange salad, red wine sauce. Tasting notes: Juicy and tender steak, dripping with rich juice paired with 2 wines of different character. I am personally biased for the Vina Robles, as it is not as tannic as the Vin roc and more suited to my preference. Tasting notes: Looks like a carefully constructed piece of mess, hence the name "deconstructed". Bitter dark chocolate, strongly sour dark berry sauce and dark cherries scattered around the serving plate and garnished with semi-bitter crumbly dark chocolate cookie. Oh, there's the log of chocolate sponge cake! Gotcha!